Bernie's bar is extremely versatile and has been host to many events such as Weddings, Christenings, Naming Ceremonies, Birthdays and many other celebrations. We can help you organise your perfect event from the decorations and seating to food and entertainment! 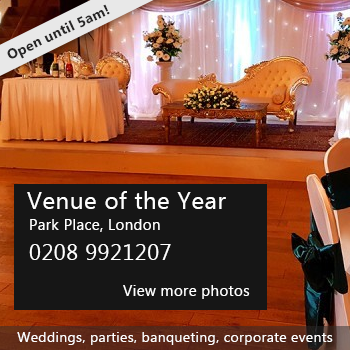 Alternatively, we can strip down the venue so you can fill it with everything you need to create your perfect celebration. Our Country Park also has on-site accommodation in the form of our studio rooms, holiday homes and camping. Our venue is available to hire 7 days a week. We charge £100 for a 5 hour party including 2 bar staff or alternatively £15 Per hour for the venue and £15 per hour for each member of bar staff required. Availability: Our Ruby Suite is available to hire on weekdays and weekends. Hire Costs: £100.00 for a 5 hour party including 2 bar staff Otherwise £15 per hour for venue and £15 per hour for bar. There have been 0 reviews of Bernie's Bar @Sutton Vale. If you would like to send Bernie's Bar @Sutton Vale a booking enquiry, please fill in the form below and click 'send'. Perhaps some of the following halls within 5 miles of Bernie's Bar @Sutton Vale would also be of interest?